Purpose-built with latest 802.11n hardware to deliver the highest data rates and user capacity while ensure that network security does not become your network bottleneck, the FortiAP-210B delivers the performance and versatility you need to provide unmatched security with a minimum of access points (AP). The Fortinet solution of FortiGate controllers and FortiAP access points delivers industry-leading security, performance, and scalability. The FortiAP-210B and supported FortiGate controllers automatically discover each other and wireless configuration is automatically downloaded. 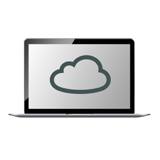 A common centralized management platform and no special license fees further lowers your total cost of ownership. 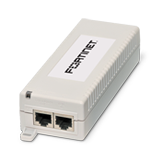 The versatile Forti-AP210B is targeted for indoor use for Distributed Retail, Dense Office, K-12 Campus, Branch Office, hotels and apartment buildings that require affordable thin AP and usage of 2.4 GHz and 5 GHz spectrum. This single radio AP allows up to 8 virtual SSIDs – 7 for client access and 1 for monitoring, all with different authentication and policy settings. 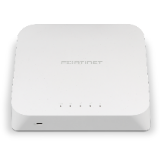 The FortiAP 210B can be used as dedicated Rogue AP scanning on both 2.4 and 5GHz bands or it can perform background scanning while acting as a WiFi hotspot or AP. FortiGate's wireless LAN controller allows you to choose from the widest range of networking and security technologies available, including Layer 7 application control prioritization, data loss prevention, and network access control. You get the flexibility you want to deploy the right layers of security to match your environment.